The bucolic setting of The Mash Inn is one of the great celebrations of British planning control. Despite being practically within the shadow of the less exciting High Wycombe, the pub-restaurant-inn is blessed with rolling green hills fringed with woodland and narrow country lanes. London’s greenbelt is practically popping around The Mash Inn, presenting a small nightmare for even the most experienced Ocado drivers, while at the same time a most ideal restaurant for cyclists and runners looking for exceptional food and maybe a bed for the night. As it turns out, the renovated inn has been part of the splayed hamlet of Radnage since 1745, originally called “The Three Horseshoes”. 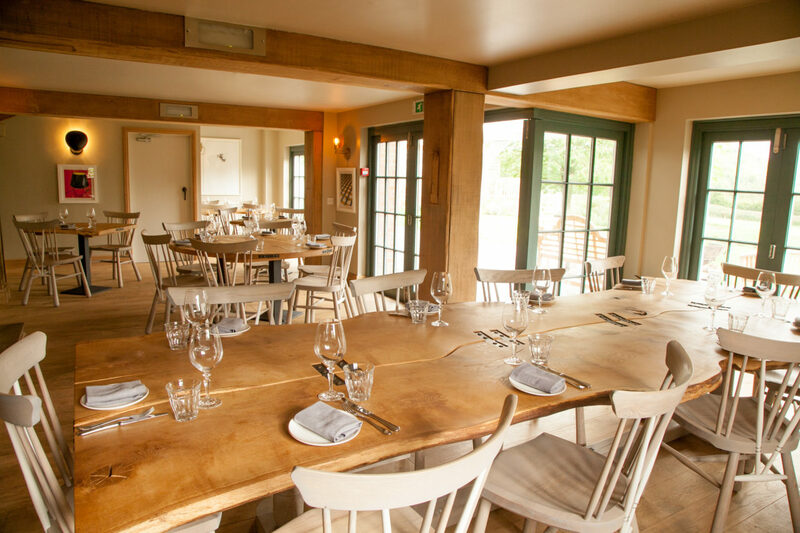 Though owner Nick Mash retained the signage of a trio of horseshoes during the renovation, the inn’s new title bears his name – a deserving move given that the new establishment is characterised by pillars of fine dining and a boutique retreat. The aromas of the kitchen easily roam the compact, 18th century building, greeting guests as soon as they arrive cross the threshold. I visited at noon on a blisteringly hot and bright June afternoon, conditions that the dark colours and materials of the small lounge and reception seem to ignore. What some might consider to be a dank and dated entrance more closely reflects a level of intimacy often bypassed by the larger, cavernous entranceways of most countryside conversion. Dive into the literature to find a menu that embraces locally grown, seasonal produce, structured around a daily menu (£60) and a tasting menu (£80, £95 with a drinks flight). A weekday “lunch special” comes in at a remarkable £25 for a starter, main and simple desert (surely a loss-leader for the management). Though unusual and delicious, dishes can’t be described as delicate and experimental, but instead orientate around substantial and wholesome, while being less inviting to vegans and vegetarians. The wine list includes a generous spread of English sparkling wine, with most whites and reds coming from France. Around the corner, the bar pulls in beer from the local Rebellion Brewery – a standard choice which is at least novel to those that don’t live within the brewery’s chalky catchment. £110 per night, which includes breakfast. 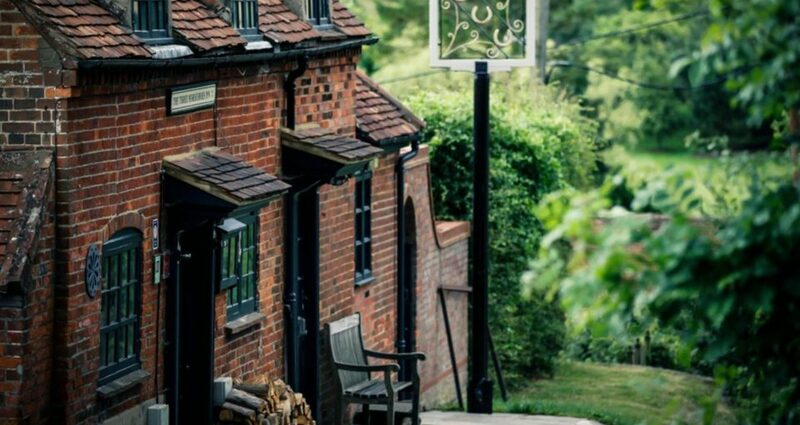 The area surrounding The Mash Inn is perfectly suited to serious road cyclists and trail runners willing to chew into the sometimes steep hills of the Chilterns and enjoy its ups and downs. Email me for custom routes, but here’s at least an overview. Cyclists should head either south or north from the property, then draw across to the west to drop into Oxfordshire and off the area of high land that makes up the Chiltern Ridgeway. Once you’re on the flatter land leading to Oxford, use the B4009 as your connecting road and choose climbs back up the ridgeway, a kind of road cyclist’s grind. Some good climbs, include Chinnor Hill which leaps onto Bledlow Ridge over 1km and 8% grade, Britwell Hill (900m / 9%), and Aston Hill (2.8km / 4%), which marks a midpoint between Bledlow and Chinnor. Trail runners should jump onto the ancient Chiltern Way which swings past The Mash Inn less than a stone’s throw away. 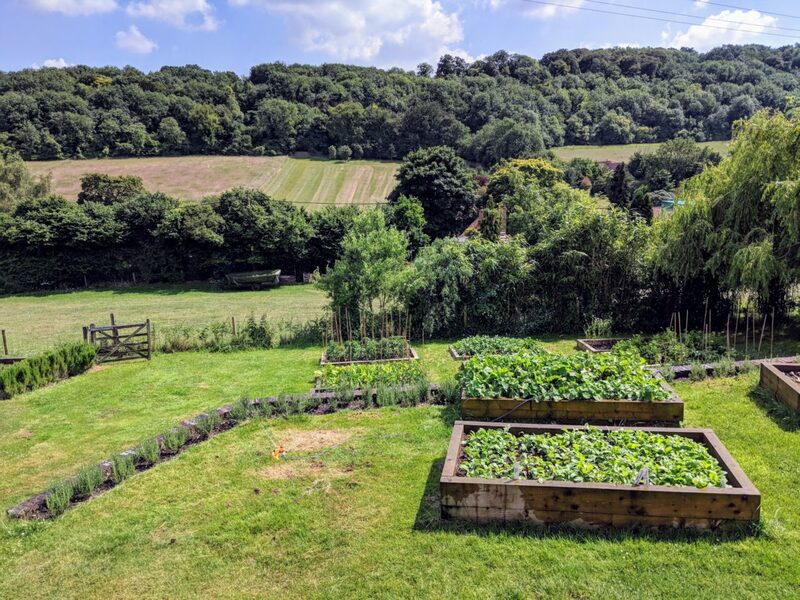 For a 35-acre patch of land to make your own loops, get to Bottom Wood one mile south of the pub, an ancient woodland preserved by The Chiltern Society. The Mash Inn is open from Wednesday lunch to Sunday morning, with no meals served to non-staying guests on Sunday (strictly morning checkout). The nearest train station is High Wycombe, a £10 taxi from the hotel. 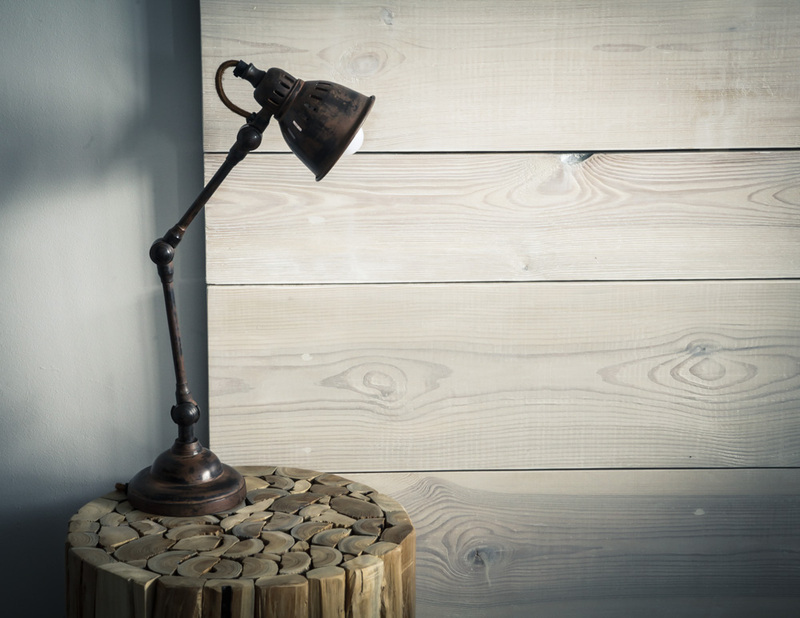 For more information on rooms, contact the Mash Inn by telephone on +44 (0)1494 482440, and for tables, use OpenTable.